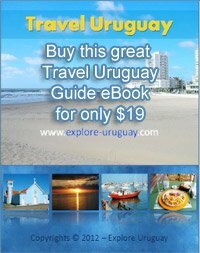 We are going to travel Uruguay after leaving Buenos Aires in about a week or two and would like to do some camping near the beaches. Do you know of any good camp grounds that are on the beaches? Or close to? Another question about Uruguay Travel that I have is Also what is the rules about making fires in campsites? Is it allowed on the beaches? We are backpacking through Argentina and are interested in tent camping in campsites close to or on beaches. We want to just really camp and hang out on the beach for about a week, since we have been on the go for 2 months, haha:) Bit of relaxation! 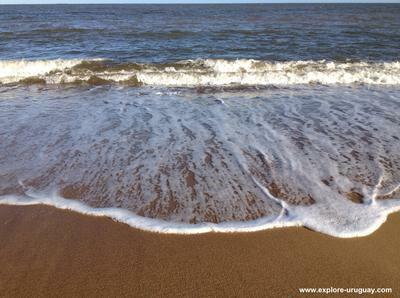 We are thinking a couple nights at Punta del Este then take a bus to Punta del diablo and do the same. Those are pretty much the two places we have herd about, so if you know of other good camping in between that would be great. Is it possible to camp at certain places on the beach? What about making fires, is it ok? Or are we limited to stove cooking? We also are on the look out for a tent. Do you know of some good camping stores we could purchase one? Preferably in Buenos Aries, since we will be there first, but Montevideo would be ok.
What are your thoughts on renting a car for the week? Is it worth it? Or is it ok and easy to take local buses in between beaches? That sounds like an awesome trip you are taking. I do have some suggestions, of areas that I enjoyed and if you want I can post to my 6000 FB friends from Uruguay if you want more specific info than what I will share below. 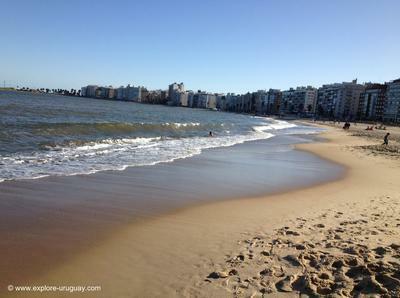 Punta del Este - will be nuts! and its miles and miles and miles of sandy beaches - lots of privacy and really relaxing. Yes, there are all kinds of rentals on the beach and lots of the places you come across will let you pitch a tent. As for the tent. Can't help you in Argentina. Montevideo is the Capital city (Im sure you're aware) and there are lots of places to get a tent there, just like in any other major city in South America. Oh, and one more thing. there are tourist info places everywhere, in every city, So, just stop at one and pick up a map or two. They will show you all the great beach access and campground you can stay at and it really is inexpensive. Im sure you'll have a wonderful time. I am posting a question to my FB friends from UY. 4) Manantiales, Aguas Dulces is awesome! I will send over more info if I think of it. I hope you have a great time. Take tons of pics. I would sure appreciate hearing and reading about your trip and maybe seeing some pics!